Monday March 25, 2019 - Interior Cabinet Secretary, Fred Matiang’i, has dealt Deputy President William Ruto a severe blow. This is after he banned the importation of police uniforms as Ruto had wanted in a bid to save the local textile industries. He also directed all other Government Ministries which import uniforms to make them locally. "This is so that we support our economy...we have taken this decision and we are working on this... we will create a system to track this… you cannot do it theoretically but practically," he reiterated. 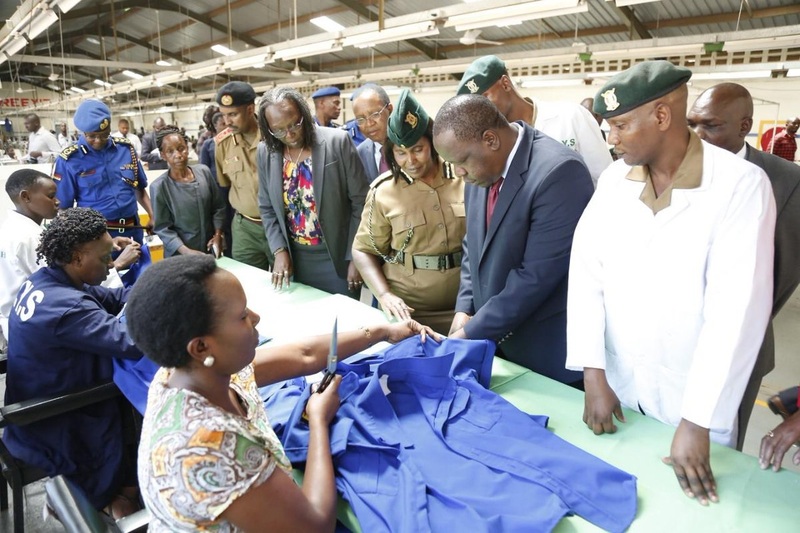 Matiang'i further revealed that the Government was already saving over Ksh700 million in manufacturing the police uniforms locally. The CS had fallen out with Ruto over the importation of police uniforms saying he will not allow any imported uniforms in the country. Ruto had told Matiang’i to allow people to import uniforms claiming that there was no material that was enough locally to make the uniforms. Buy Kenya Build Kenya. Ata tooth picks, toilet paper nkt tuna import jameni, yet we can turn those acacia thorns and hyacinth/mathenge weeds into both respectively.